Congratulations, you’re engaged! I took a walk down the aisle a little over a year ago, and it was such a joyful experience. How beautifully have wedding ceremonies evolved with time? Our generation is allowed the opportunity to customize not just the cake and and the colors, but all aspects, even creating an overall theme. This trend enhances the enjoyment of this milestone, making it all the more memorable for years to come. One such customizable element is the invitation suite. It can reflect both your personalities and convey the overall essence of your event. It is your guest’s first impression of what the wedding will be like, and it may become a keepsake for you and your guests alike, allowing you to instantly recall the sights, sounds, and feelings of the day. Three steps can position you to more simply select the invitation suite design that works for you. Several pieces and parts make up an Invitation Suite. The main attraction is typically a flat card featuring your names and all the primary details - what most refer to as the invitation itself. Other basic elements include a response card, reception card, and matching envelopes. Beyond those, you may choose additional embellishments or an enclosure to hold informative inserts, such as maps and helpful travel details or separate invites to a welcome dinner or farewell brunch. Each of these items work together to form a balanced package and can be finished with custom postage or address labels. As you select the elements of your invitation suite, consider customizing the size and format, the fonts and colors, and especially the wording, to best capture your relationship. When printing on a conventional press, the ink is applied from rolls, onto plates, onto paper. Each roll has its own setup cost. More colors of ink equal more setup cost. Digital printing, however, is always a combination of four colors ­­- cyan, magenta, yellow and black -­­ that can create endless hues and therefore, is not priced per color. Some shapes will require special cutting techniques. Additionally, oversized or square invitations can impact postage. More is more. Simple as that. Embellishments and additional inserts are going to increase your overall investment. If you’re trying to keep your cost down, opt for a postcard RSVP or direct guests to your website instead of including an insert with all the reception details. Your guest list influences every other decision you make in planning a wedding. (I know, it sounds so obvious, but it’s worth restating.) Besides yielding a quantity for your invitation order, understanding who your guests are will also help you to craft the best experience. If you anticipate guests who are not equipped with smartphones, consider including a map with all the important locations and times in your invitation suite. And remember that you only need to send one invitation to each household. Include all the names of that household that are invited on the outer envelope. I wish you all the very best wedding planning experience and hope your special day turns out just how you imagine. And get ready, because being married is even better! Today, I am so excited to be featured on the blog of local wedding planner Tailored Occasions Event Planning and Design. I'm honored to call Allyson a friend and a colleague - between designing her website, photographing her headshots, planning projects together like our proposal planning collaboration, and carpooling to our monthly Making Things Happen group in Chapel Hill, I've had the opportunity to get to know Allyson quite well over the past year. Needless to say, when she asked, I was more than happy to write a guest blog for her readers about preparing for an engagement session. Check out my post, 7 Ways to Dress Your Best for an Engagement Session, here! Many thanks to Allyson for featuring us! 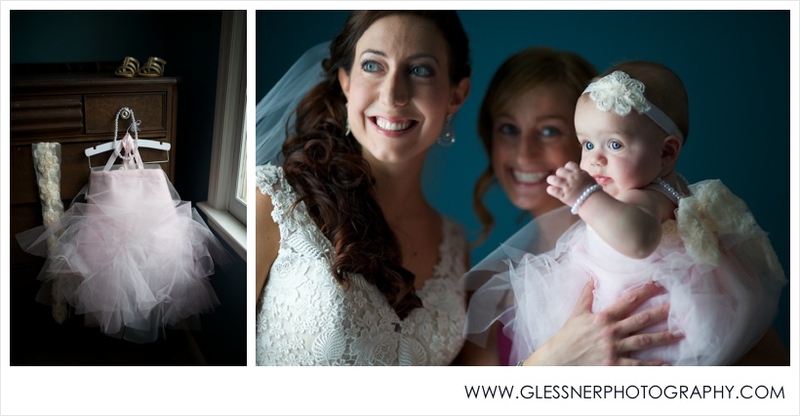 Like every little girl, I loved looking at my mom’s wedding gown in photos. I loved the dress, but I didn’t want to wear a circa 1980s wedding gown (complete with hat) for my big day. 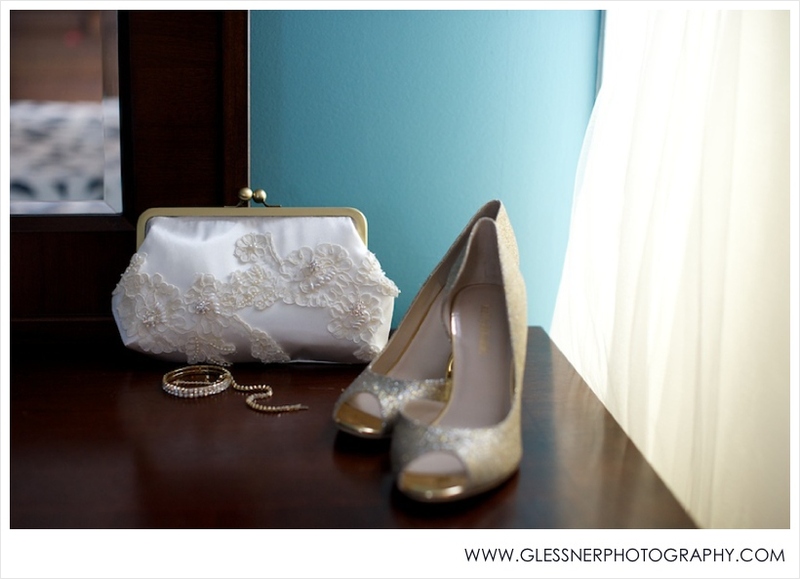 Instead, I incorporated the lace from my mom’s gown into my bridal clutch. Just some fabric glue on a clutch will get the job done, or you can order a custom, handmade bridal clutch here. As I was planning the wedding, my cousin had a little announcement. “Surprise, I’m pregnant. Surprise, it’s a girl. Surprise, I’m due in three months.” This new addition to the family made me extremely excited and awakened my creative side. Now that I had a flower girl, I decided I would make, from scratch, without instructions, a flower girl dress. To make this blush dress, all you need is ivory and pink tulle, scissors, elastic, a sewing machine, and stretchy ribbon, or you can purchase it here. Ok, so I may have borrowed a couple of DIY ideas from Pinterest, but let’s face it, not everyone attending the wedding is as obsessed with pinning wedding ideas as I am! No harm, no foul. One of my favorite additions to the wedding was this “Love” table that was set up in the lobby for cocktail hour. I asked all of my and my fiancé’s relatives to send me some pictures from their own weddings. Once I received all of these photos, I printed them out, bought a ton of frames from the dollar store, and spray painted a “Love” sign from the craft store gold. The family loved it, and it added a special touch to the cocktail hour. In my opinion, it is the little details that make the wedding special. I created a dinner menu in Microsoft Publisher and printed it out on card stock. However, the handmade napkin ring was the final touch on the place setting that really tied everything together. This was one of the easiest DIY projects I gave myself... so easy that my fiancé could help! All you need is a wide ribbon and velcro. Cut the ribbon into 6 inch strips and stick the velcro on either end of the ribbon strip to form your napkin ring. Happy crafting! Jessica Goodenough, originally from New Jersey, lives in Greensboro, NC with her husband, Shane, and their dog, Baloo. She is a graduate of Penn State University and Elon University, and a Sr. Financial Analyst at General Dynamics. In her free time, Jessica manages and creates new products for her Etsy store, As You Fancy. You can follow As You Fancy on Facebook here.